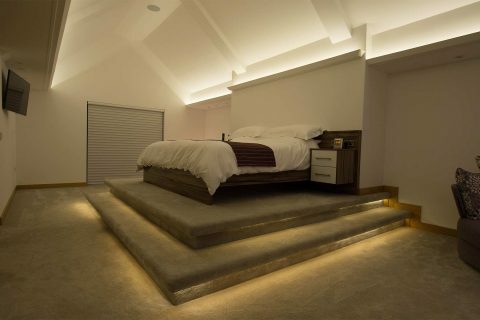 In these weeks of late evening sun and very early sunrises, probably the last thing you’re going to think about is lighting design, especially if you live in the north of England in such places as Leeds and Cheshire where the nights are even longer. Further south of course the nights are a little shorter, but even at this time of year you’re only going to need your lighting switched on 20 minutes earlier than the north. But, we have passed the longest day already, which is kind of depressing when you think the summer is only just beginning, and that means the nights are starting to shorten. On the positive side, before we all start to wish the year away, it’s a great time to get the experts in to plan and install your lighting design and lighting control system. Start now and the install could easily be finished in time for the darker evenings, giving you that aspirational designer lighting system you’ve always wanted. 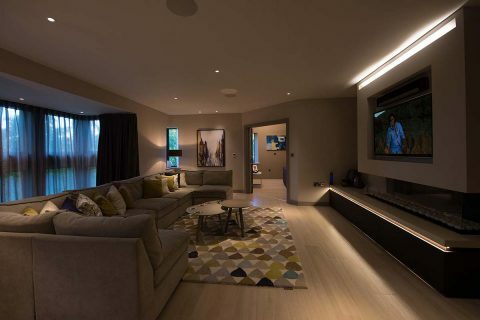 Lighting control has come a long way since the days of rotary dimmer switches – once the epitome of class, style and sophistication in the suburbs of London and the posher parts of the north like Leeds and Cheshire. Now they’re passé, as even the humble dimmer switch is touch controlled and comes with a remote control. Today’s lighting control is a highly sophisticated technology that enables the programming and control of multiple lighting configurations. Rooms can be wired with different circuits, that may be individually or collectively controlled in almost limitless combinations, creating moods and scenes to suit every imaginable lighting design requirement. The beauty of modern lighting control is the personalisation that was never possible with older systems. The fully customisable nature of digital based systems, using iPads and other tablets as the user interface, means every imaginable requirement can be integrated into the system and can be available for fingertip control. A clever lighting designer has an armoury full of tools at their disposal, from colour changing bulbs, whites that can be changed from warm to cool, to LED strips that produce literally millions of colour combinations (16,777,216 to be exact! ), that can be used in many creative ways to paint with light, in much the same way as an artist paints with unlimited colour combinations. And with the iPad at the heart of the system, it’s possible to link the lighting design into the rest of the home automation system. Pushing one button can set the lighting scene, close the blinds, turn on the cinema system and even start the popcorn machine. These kinds of linked systems were but a dream only a few years ago, and now they’re becoming relatively common place in the installations we work on. Our automation engineers and lighting designers will work together on your project to create exactly the system you want and it can cost much less than you think. 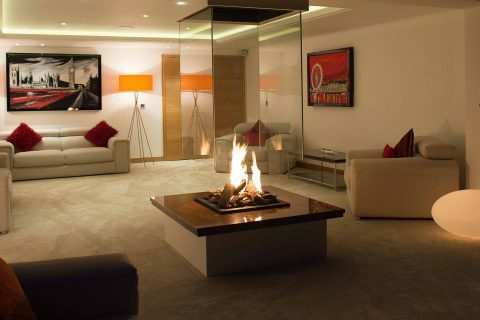 We believe that working with a lighting designer is every bit as important as working with an interior designer to create the interior feel and mood you want. It should be set out as a requirement at the start of the home build or renovation project, not approached as an afterthought. As, even though there are wi-fi and remote-controlled bulbs available, which would suggest retro fitting is possible, the actual lighting circuits themselves still need to be built using mains cables – and you want them to be hidden. Imagine a stunning multi-million pound residence in London that has plastic conduit attached to the walls where the lighting cables have been run, because the owners didn’t think of it during the planning stages! That’s why it’s important to speak to the experts as the beginning of your project. 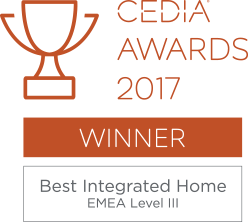 Here at Clearly Automated we specialise in lighting design and control and work with some incredibly creative and talented designers, who have a track record of creating installations in properties across the north, our historical home, and the south of country. 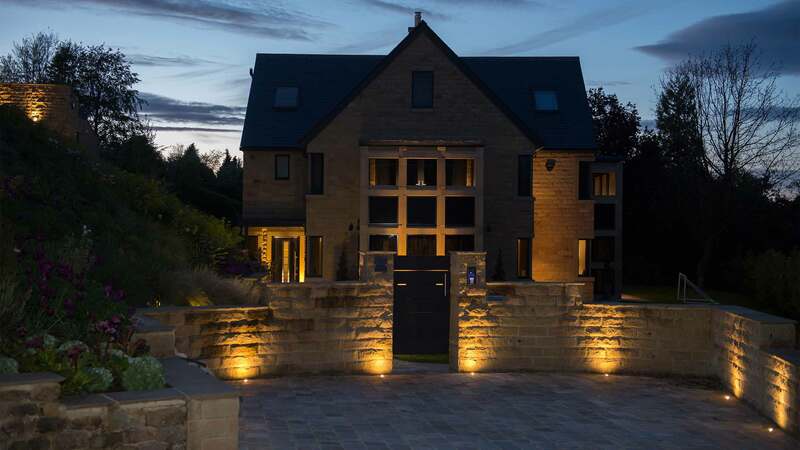 Whether it’s lighting control in Cheshire, Leeds, London or any other area you happen to live in, our lighting designers are just a phone call away from helping you fulfil your dreams.